It’s Monday morning and the sun is shinning in Toronto. As I got onto the subway with a potted cauliflower plant (I planted too many at home so I am giving one to Catherine – #Adulting problems) and put my bag down, I noticed that a woman wanted to sit down and I was in her way. I adjusted my things and let her take a seat, smiling at her as I did. She smiled in return and the simple interaction made me happy. Funny how a smile can change someone’s outlook on the day. I guess it’s one of the many reasons why I love smiling as often as I can. You never know who you are helping with something so simple as a positive gesture. You’ll remember that recently I introduced you to Dr. Jeremy Kurtz and his staff at Dental Arts at Front – click here if you missed that first blog post. 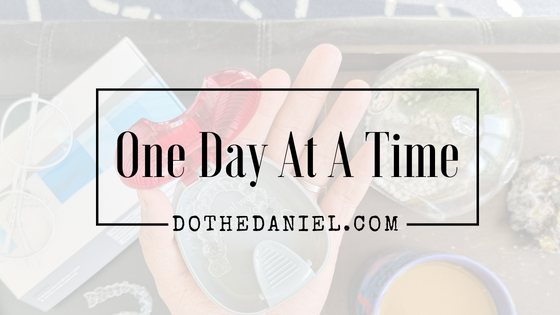 So inspired by the act of smiling and the confidence it brings me personally, I wanted to sit down and chat with him again about some things I wanted to know about Invisalign. I was able to come up with a list of 5 Things I bet you didn’t know about Invisalign and how easy of a process it is for those of you looking to invest in yourself in 2018. While speaking with Dr. Kurtz, it spoke about how people sometimes are quick to assume that Invisalign is for easy cases. Which in fact is not true. “Invisalign can really do anything, or almost anything. And it can actually do certain things better than braces. It’s just a different force system.” When I asked him about the process, he walked me through what happens after your initial appointment and your custom trays have been ordered. It is a journey, and one that him and his team are trained to help you with one day at a time. When it comes to anything you are unsure about, it is always best to do your own research, rather than assume anything. If you are considering undertaking the Invisalign treatment, it might be in your best interest to look into something like invisalign teeth straightening london, to get all the information you need and speak to a professional. Hopefully this will help you make the right decision. In reality Invisalign is a system that is tailored to the needs of your mouth and teeth, Dr. Kurtz assured me that “the price of Invisalign varies like any other service. What I would say is that it’s not necessarily more expensive – as far as speed and performance, nothing comes close to the results.” Sounds like a pretty sound system, and from the experience I have seen first hand, I can assure you that he is one of the best in the industry to truth with your teeth and goals. I would say that if the cost of getting Invisalign is putting you off undergoing this treatment, getting in touch with a professional dental clinic like Aesthetic Family Dentistry could help put your mind at rest and hopefully get you on the right track when it comes to getting the smile you have always wanted. It’s best to do your research if you are unsure about anything. So when it comes down to it, each day is an opportunity to smile at someone like I did today. And to know that if you’re wanted to improve your smile and the way you feel about yourself, Dr. Kurtz is here to help. As previously mentioned, for those of you looking to feel better about your smile and teeth, I encourage you to call Dr. Kurtz office nearest to you and get a consultation. There is no harm in informing yourself on how easy it is to get that smile that you want. Click here to check out his website now! I cannot express how jealous I am of the entire process and I hope that you feel inspired to do something for yourself to make a small change with the biggest impact. You deserve it and we know just the doctor to help you achieve it! To see some of our favourite instagram accounts who have incorporated Invisalign and the services of Dr. Jeremy Kurtz into their day-to-day lives, follow www.instagram.com/hellohillory & www.instagram.com/fashionights.